Imagine a muffin that’s moist through and through, tender and fluffy rather than dense, filled with plump blueberries, and crowned with a majestic halo of crunchy, nutty streusel. Leave it to one of the world’s best chefs, Thomas Keller, to elevate the humble blueberry muffin to a work of art. I’ve had these many a time at his Bouchon Bakery in Yountville. But with the publication of his “Bouchon Bakery” (Artisan) with his Executive Pastry Chef Sebastien Rouxel of the Thomas Keller Restaurant Group, I can now make them happily at home. The cookbook, of which I recently received a review copy, includes 150 recipes for pastries and breads. Some like the Pear Feuilletes, made with homemade puff pastry, are geared to the more skilled baker. 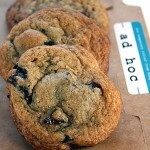 But there are plenty of others such as the Chocolate Chunk and Chip Cookies that novice bakers will embrace. The “Blueberry Muffins” are quite simple, too. Keller writes in the book that the key to a great muffin is resting the batter overnight in the refrigerator. This allows the flour to absorb all the liquid, resulting in a very moist muffin. Plus if you make it the day before, it’s all set to go for baking in the morning. What a way to wake up. The measurements for all the recipes in the book are done by weight, but include the corresponding conventional measurements in cups and tablespoons. That’s why you’ll find the amount of eggs called for in this recipe to be “72 grams or 1/4 cup plus 1 1/2 teaspoons.” I actually weighed and measured it. It comes out to be just a smidgeon more than 1 large egg. So, feel free to just use that if you don’t want to go to the bother of cracking open a second egg to use only a portion of it. I also changed the way the butter is incorporated. Keller starts with cold butter, then creams it with a stand mixer. Periodically, he will hold the bowl over a burner or use a blowtorch against the outside of the bowl, to encourage the softening. I’m not sure many of us at home are going to go that far. So, I merely softened the butter by leaving it out on the counter at room temperature, just as I would do with most other baking recipes. It worked just fine. The struesel recipe makes much more than you’ll need for these six jumbo-sized muffins. But you can freeze the remainder to use on another batch in the future. Because, believe me, with muffins this perfect, you’ll be making them again and again. 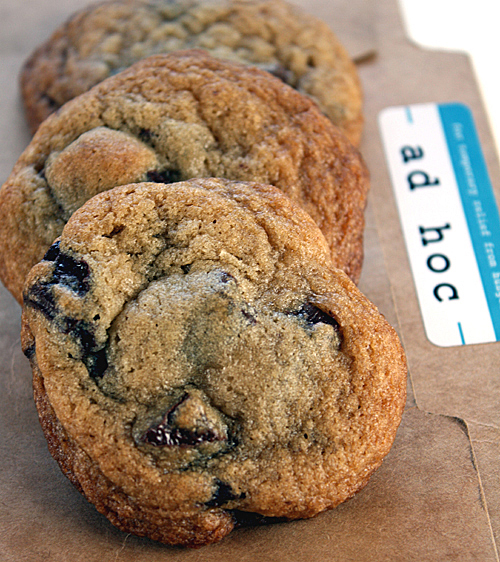 For the batter: Toss blueberries with the 1 tablespoon all-purpose flour in a small bowl, and place in the freezer. Place remaining 1/2 cup plus 2 tablespoons all-purpose flour in a medium bowl. Sift in the cake flour, baking powder, and baking soda. Add salt and whisk together. Place butter in a stand mixer fitted with the paddle attachment, turn to medium-low speed, and cream the butter, until it’s the consistency of mayonnaise. Add sugar and mix on medium-low speed for about 1 minute until the mixture is fluffy. Scrape down the sides and bottom of the bowl. Add molasses and honey and mix on low speed for about 1 minute to incorporate. Add eggs and vanilla paste and mix on low speed for about 30 seconds, until just combined. Add half the flour mixture and mix on low speed for 15 seconds, or until just combined. Add half the buttermilk and mix for 15 to 30 seconds to combine. Repeat with the remaining dry ingredients, followed by the remaining buttermilk. Remove the bowl from the mixer stand and scrape the bottom of the bowl to incorporate any dry ingredients that have settled there. Transfer the batter to a covered container and refrigerate overnight, or up to 36 hours. To bake the muffins: Preheat the oven to 425 degrees. Line a 6-cup jumbo muffin pan with muffin papers and spray the papers with nonstick cooking spray. Remove the batter from the refrigerator and let it sit at room temperature for 5 minutes to begin to soften. Stir the blueberries into the batter and spoon batter evenly into the muffin papers, stopping about 3/8 inch from the top (about 140 grams each). Sprinkle 30 grams or a generous 3 tablespoons of the streusel on top of each muffin. Place pan in the oven, lower the oven temperature to 325 degrees, and bake for 36 to 40 minutes, or until the topping is golden brown and a skewer inserted into the center comes out clean. Set the pan on a cooling rack and cool completely. Dust with powdered sugar if desired. The muffins are best the day they are baked, but they can be wrapped individually in a few layers of plastic wrap or stored in a single layer in a covered container at room temperature for up to 3 days or frozen for up to 1 week. Defrost the muffins still in the container so any condensation will form on the outside of the container and not on the muffins. Place on a sheet rack and refresh in a 325-degree oven for about 5 minutes, if desired. Combine the all-purpose flour, almond flour, sugar and salt in a bowl and whisk to break up any lumps. Add butter and toss to coat the pieces. Work the mixture with your fingertips, breaking the butter into pieces no larger than 1/8 inch and combining it with the flour mixture. Do not overwork the mixture or allow the butter to become soft; if it does, place the bowl in the refrigerator to harden the butter before continuing. Transfer the streusel to a covered container or resealable plastic bag. Refrigerate for at least 2 hours, or up to 2 days, or freeze up to 1 month. Use the streusel while it is cold. This recipe makes about twice as much streusel as you will need to make 6 jumbo blueberry muffins. 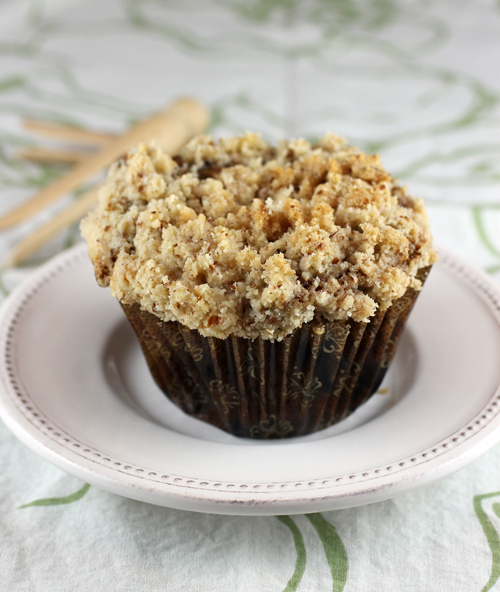 Just freeze the remaining streusel to use when you bake another batch of muffins. They look amazing and I bet they taste even better than they look! On the egg issue, TK always makes a point to use his finger to scrape out every last bit of the egg white that clings to the inside of the shell. Wonder if that’s the difference in weights? Although we still do a lot of volume measuring, measuring by weight makes so much more sense. Once you get the hang of it, it’s loads easier. Anyway, great looking muffins! Blueberry is definitely my favorite flavor. And the book sounds quite nicely – thanks for the info. Oh these look so delicious. We love blueberry muffins and this looks like such an awesome recipe. That cookie on the front of the book doesn’t look to bad either!! 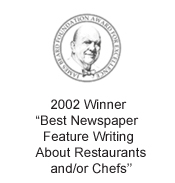 Harvey Steiman: Ahh, I should have figured that Chef Keller would do that when few of us would even think to do it. I bet that does explain the discrepancy in the weights. Tami: Yes, I believe the donuts are included in the book. Alicia: The cookie on the cover is the famous Nutter Butter at Bouchon Bakery. I can never resist getting one when I visit Yountville. The recipe is a little involved, but I hope to try my hand at it in the near future. i love a big muffin, the bigger, the better! 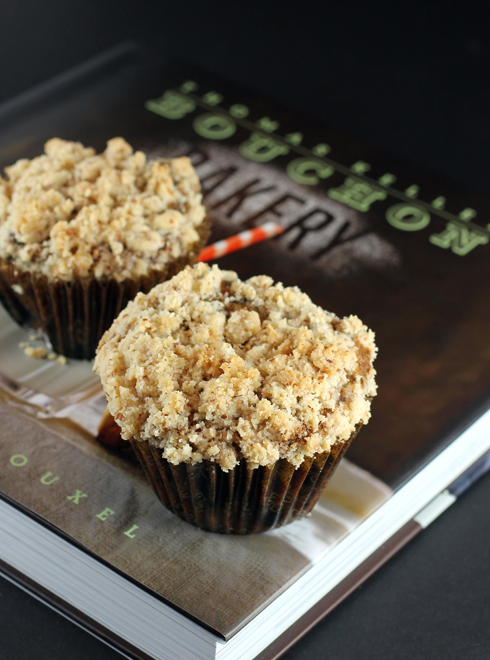 the streusel seals the deal for me–these muffins are fantastic. Waw! 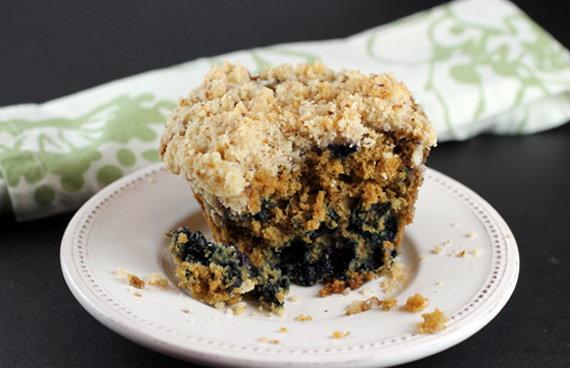 Famous blueberry muffins & I love that streusel topping too! A must make! MMMM! Uhh what is 3.4 ounces (96 grams) unsalted butter at room temperature in cups measurement? LC: A stick of butter is 4 ounces, so 3.4 ounces is just shy of that. Probably a little less than a tablespoon short of a stick. 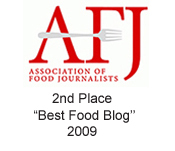 I am glad to have found your blog! I’m in the process of making the carrot muffins and am wondering about the oat streusel topping recipe. It calls for 107 grams of oats, plus 106 grams of wheat germ, but the actual volume quantities for both respectively are different by about one cup (it calls for 1/4 cup + 3.5 TBL wheat germ.) I always weigh my ingredients, but when weighing the wheat germ, 1/4 cup is only about 25 grams (give or take.) 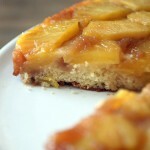 I would love it if you could look at the recipe and tell me what you think! I was going to make these for breakfast today but I don’t want to use 106 g wheat germ if I shouldn’t. Thanks for your advice! 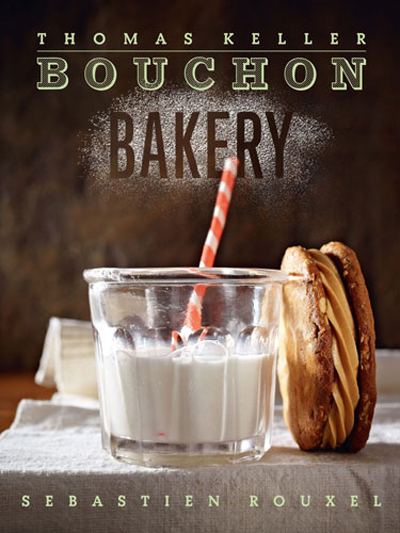 I just got the Bouchon Bakery cookbook as a Christmas gift, and it’s a joy. 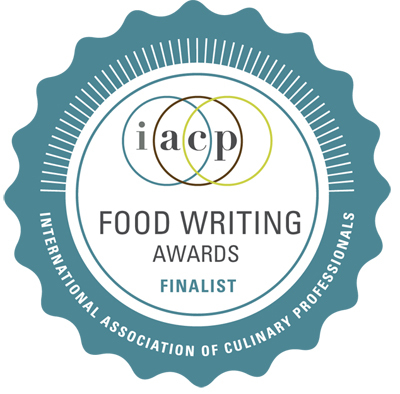 Beautiful to look at, a pleasure to read. I just attempted the Blueberry Muffins (they’re in the oven right now! ), but was a bit perplexed about the batter. It was very thick when I finished it, out of the stand mixer. And then after removing it from the fridge this morning, it’s practically a paste – even after letting it sit out for awhile to warm up. Working the blueberries into the batter was difficult, and I was basically pressing chunks of paste into the cupcake papers, rather than spooning or pouring it in like you would a liquid batter. Any thoughts here? What was the consistency of the batter like for you from the mixer and the next day from the fridge?? Marc: My batter was not that thick. Definitely be sure to whip the butter and sugar very well so that it’s quite light, creamy and yes, almost mayonnaise-like in consistency. 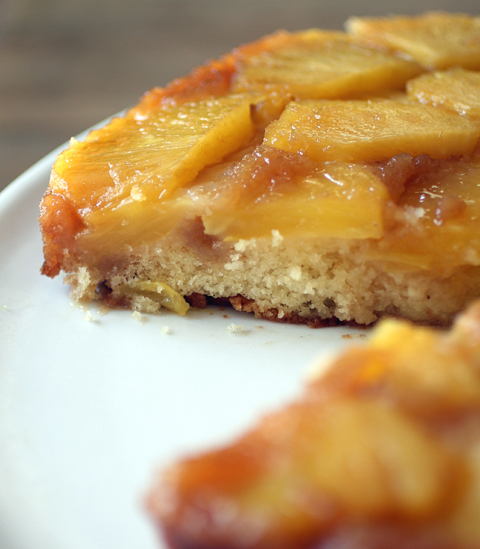 Your fridge might be on the cold side, too, which made the batter stiffen. But muffins are pretty forgiving as long as you don’t overmix them, so I’m sure they’ll still turn out great when you bake them. I’ve been planning to get his book but haven’t gotten around to it yet. These muffins though and the upside down cake look wonderful.